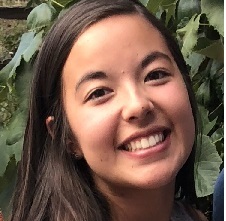 Tutor Profile - Grace N.
Bio: My name is Grace and I will be graduating from Colorado State University in December with degrees in both mathematics and education. I have always wanted to be a teacher and I have been teaching/tutoring in math for 3 years now and I love every second of it. I don’t want kids to ever have to be scared of math because really, it’s cool! Don’t be fooled, I enjoy more than just math... in my free time I love to dance and bake anything delicious! Experience at High Performance Tutoring: Grace has worked at High Performance Tutoring for 7 months and has helped 3 of our students learn effectively, build academic confidence, improve grades, and raise test scores. Grace is highly knowledgeable, great at teaching, has a wonderful personality, and has proven over time to be very reliable.